Nothing Donald Trump has done since his inauguration 14 months ago is more dangerous – to the United States, and indeed, to the world – than his selection of John Bolton for National Security Adviser. It is not surprising the president would feel most comfortable receiving advice from a fellow bully. Trump bullies people on a nearly daily basis, directing his ire at immigrants, Muslims, women, LBGTQ people, the poor and the environment. He hurls Twitter attacks at those who disagree with him. Carl W. Ford, former Assistant Secretary for Intelligence and Research, and a conservative Republican, called Bolton a “kiss-up, kick-down sort of guy” who “abuses his authority with little people,” characterizing him as a “serial abuser.” Bolton chairs the Gatestone Institute, which publishes hateful, racist anti-Muslim rhetoric, calling refugees rapists and hosts of infectious diseases. Bolton was such a lightning rod that in 2005, even the GOP-controlled Senate refused to confirm him as US ambassador to the United Nations. To avoid the need for Senate confirmation, George W. Bush named Bolton to the post in a recess appointment. But Bolton doesn’t just bully individuals. 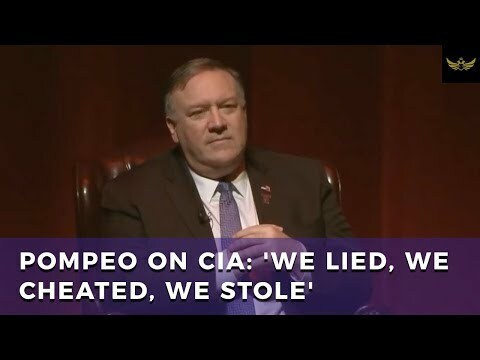 He pushed for the 2003 invasion of Iraq, advocates military attacks on North Korea and Iran, favors Israel’s annexation of the Palestinian West Bank, and falsely claimed that Cuba had biological weapons. As undersecretary of state for Arms Control and International Security in the Bush administration, Bolton was instrumental in withdrawing the United States from the 1972 Anti-Ballistic Missile Treaty, which heightened the risk of nuclear war with Russia. When he left his position at USAID in the late 1980s, Bolton’s colleagues presented him with a bronzed hand grenade. Bolton sees every international situation as an opportunity to make war, notwithstanding the United Nations Charter that mandates the peaceful resolution of disputes and forbids military force except in self-defense. To bolster the case for war, Bolton pushed Bush to include in his State of the Union address the false statement that Iraq was seeking uranium from Niger, over the objection of the State Department. Before the US invaded Iraq, Mohamed ElBaradei, director of the International Atomic Energy Agency, said there was no evidence Hussein had any viable nuclear program. Hans Blix, chief inspector of the UN Monitoring, Verification and Inspection Commission, verified that weapons inspectors had found no evidence of WMD. No WMD were found after the US invasion of Iraq. Nearly one million Iraqis were killed and the US-led regime change led to a vacuum of leadership that was filled by ISIS. A 2006 report prepared under the direction of former Rep. John Conyers (D-Michigan) concluded that “members of the Bush Administration misstated, overstated, and manipulated intelligence with regards to linkages between Iraq and Al Qaeda; the acquisition of nuclear weapons by Iraq; the acquisition of aluminum tubes to be used as uranium centrifuges; and the acquisition of uranium from Niger.” Those “misstatements were in contradiction of known countervailing intelligence information, and were the result of political pressure and manipulation.” A key source of that pressure and manipulation was Bolton. After the disastrous US invasion of Iraq, Bolton tried to get the Iran file removed from ElBaradei in order to lay the groundwork for an unjustified attack on Iran. Bolton favors bombing Iran and changing its regime and he opposes the Iran Nuclear Agreement. He has advocated an Israeli strike on Iran’s nuclear facilities and encouraged the United States to support it. In the 2015 Joint Comprehensive Plan of Action (JCPOA), Iran agreed to cut back its nuclear program and in return, received billions of dollars of relief from punishing sanctions. Iran has complied with its obligations under the deal, says a bipartisan group of over 100 national security veterans called the National Coalition to Prevent Nuclear Weapons. Under the US Iran Nuclear Agreement Review Act, the president must decide every 90 days whether Iran remains in compliance with the JCPOA and whether the agreement continues to serve US interests. Trump reluctantly certified Iran’s compliance in April and July 2017. But in October, to the consternation of his secretary of state, secretary of defense, and the chairman of the Joint Chiefs of Staff, Trump refused to certify Iran’s compliance with the agreement. He did not, however, pull out of the deal at that time. On May 12, Trump will decide whether or not to end US participation in the agreement. Bolton and CIA director Mike Pompeo, Trump’s nominee for Secretary of State, both favor renouncing the deal. If the US breaches the agreement, Iran may well resume the unlimited production of nuclear fuel. In February, contrary to the overwhelming weight of legal authority, Bolton argued in a Wall Street Journal op-ed that mounting a first strike on North Korea would comply with international law. Bolton stated on Fox News, “I think the only diplomatic option left is to end the regime in North Korea by effectively having the South take it over.” During another Fox appearance, Bolton declared, “the way you eliminate the North Korean nuclear program is to eliminate North Korea.” He maintained that North Korea having nuclear weapons was worse than the “millions” of North and South Koreans who would be killed if the US attacked North Korea. If Trump destroys the Iran deal, that will send a dangerous message to Pyongyang that his word cannot be trusted. North and South Korea are slated to meet in April and Trump has indicated he will meet with North Korean President Kim Jong-Un. Diplomacy at this moment is critical. The dangers inherent in following Bolton’s favored policies in Iran and North Korea cannot be overestimated. Bolton argued unsuccessfully for the inclusion of Cuba in Bush’s “axis of evil” (which consisted of Iraq, Iran and North Korea). Bolton advocated a military attack on Cuba one year before Bush invaded Iraq. After Bolton falsely claimed Cuba was developing a bio-warfare capacity, a congressional investigation found no evidence to support such an allegation. As Nicole Deller and John Burroughs from the Lawyers’ Committee on Nuclear Policy have documented, Bolton is widely credited with the defeat of the Protocol to the Biological Weapons Convention, which would have created an inspection system to protect us against those deadly weapons. Bolton’s solution to the Israeli-Palestinian conflict is to give “pieces” of Gaza to Egypt and “pieces” of the West Bank to Jordan since, he thinks, Palestine is composed of “bits and pieces” of the former Ottoman Empire. The National Security Adviser’s job is to inform the president of the different options that affect national security, briefing him on the National Security Council’s findings. Bolton is such an ideologue, he will invariably slant his advice toward waging war. Bolton is so extreme, he reportedly promised Trump he “wouldn’t start any wars” if appointed, according to CNN. In light of Trump’s aversion to reading daily intelligence reports, Bolton will play an even greater role in the formulation of policy. Unfortunately, National Security Adviser is not a cabinet position, so Bolton doesn’t need Senate confirmation. Former President Jimmy Carter said in an interview with USA Today that Bolton’s appointment is “a disaster for our country,” adding it may be “one of the worst mistakes” of the Trump presidency. But as Stormy Daniels and Robert Mueller close in on Trump, the president will seek to create a major distraction. With bully Bolton egging him on, that may well be a military attack on North Korea or Iran. The consequences would prove disastrous. Marjorie Cohn is professor emerita at Thomas Jefferson School of Law where she taught for 25 years. The former president of the National Lawyers Guild and criminal defense attorney is a legal scholar, political analyst and social critic who writes books and articles, makes media appearances and lectures throughout the world about human rights and U.S. foreign policy. She has testified before Congress and debated the legality of the war in Afghanistan at the prestigious Oxford Union. Her columns appear on Truthout, HuffPost, JURIST, Truthdig, Portside and CommonDreams, and she has provided commentary for CBS News, BBC, MSNBC, CNN, Fox News, NPR and Pacifica Radio.